Steve Hunnisett, whose book 'For Freedom' we published recently, has been invited to speak about it at Wolverhampton University next June. Roger Deason, ("When Shall Their Glory Fade?") 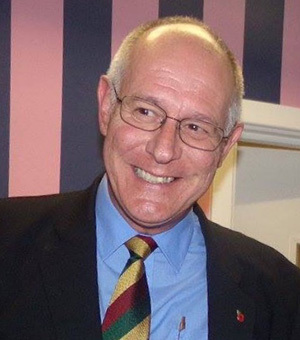 has also been invited to speak at the same event - Football and War. Congratulations to them both. Copies of both books are still available for £3 on matchdays at Champion Hill. Parr and Anderson, Pierce and Ebsworth. Friday 10th November 2017 sees the launch of our new book, For Freedom : Dulwich Hamlet Second World War Roll of Honour by Steve Hunnisett. 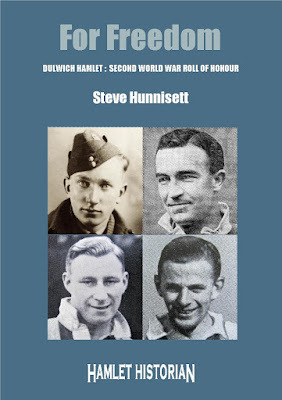 For Freedom tells the stories of Reg Anderson, Bill Parr, Eric Pierce and Ron Ebsworth, the four Dulwich Hamlet players who made the ultimate sacrifice during the Second World War. The book is the long awaited follow-up to Roger Deason’s “When Shall their Glory Fade?” about the Hamlet victims of the First World War. The handsome 36 page limited edition is priced at £3.00. It will available for purchase on Friday at the Remembrance Day Service in the Dulwich Hamlet boardroom, and afterwards on matchdays at Champion Hill.